Public appearances are oftentimes diametrically opposed to private endeavors. Since the 1990s, Canadian mining investments have expanded worldwide. This consistent trend holds true in Latin America, where large-scale Canadian companies control approximately 50 to 70 percent of the region’s mining industries . In 2013, 29 percent of all global mining investment was undertaken in Latin America due to the their relative proximity to the United States and Canada, mineral-rich landmass, low tax burdens, and neoliberal economic policies . 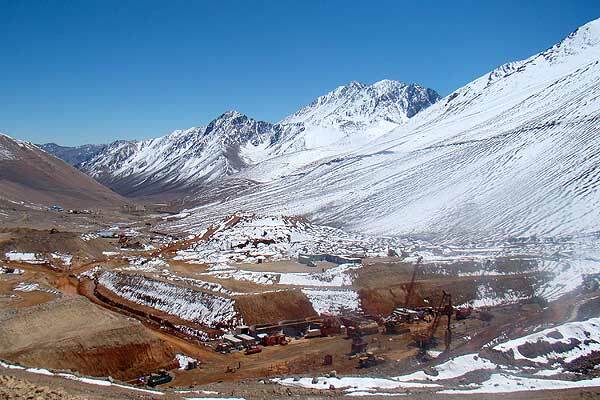 Canadian firms such as Barrick Gold, Yamana Gold, Teck, and Goldcorp, to name a few, now operate more than 80 mining projects in the region and have 48 more projects in the development stage . If the appropriate frameworks and institutions are established, mining could very likely serve as a springboard to advanced economic growth and even more fast-paced development. However, extractive processes can also be a source of corruption, social degradation, and environmental catastrophe, as again and again has been the case in Latin America . Thus, a dichotomy exists between mining by foreign investors who profit, and the communities in which it takes place which frequently are left by the wayside. The situation has worsened in recent years, resulting in conflict over the negative economic, social, and environmental aspects of the mining industry. The consequences of large-scale mining production by Canadian firms are threefold and encompass a wide range of issues. First, mining involves extensive collateral damage to the environment. Metal mining can lead to erosion and sedimentation, the formation of sinkholes, and the contamination of waters and rivers by chemicals such as arsenic, aluminum, magnesium, iron, and mercury . Mine drainage and cooling produce large amounts of water that contain toxic agents, which may infiltrate drinking water systems and harm agricultural and farming practices in the surrounding rural communities. In certain cases, deforestation occurs to make way for mining projects, destroying existing ecosystems, flora and fauna, and wildlife. Of particular note, Canadian mining corporations have demonstrated a disregard for registered nature reserves and protected zones . 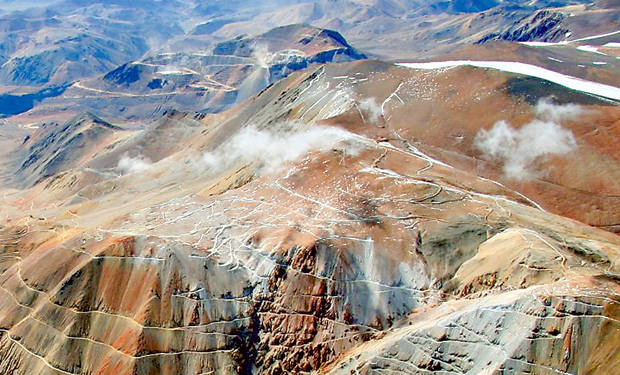 For example, the Pascua Lama open-pit mine, owned by Barrick Gold on the Argentina-Chile border, is located within the UNESCO-protected San Guillermo Biosphere Reserve and overlaps a water reserve composed of glaciers. There has been evidence that three glaciers, Toro I, Toro II, and Esperanza, have been marred by underground water contamination and have been shrinking, diminishing water supplies in the already dry Atacama Desert . In Petaquilla’s Molejón Gold mine in Panama, situated in the Mesoamerican biological corridor that is designated as a protected area by Panama’s National Environment Authority, 54.2 hectares of old growth and gallery forest, as well as eight hectares of vegetation, were cut down in order to create space for the construction of roads, heliports, camps, and processing plants . Air, water, and land pollution generated by the mining industry have destroyed much of the daily lifestyle of rural communities and the traditional production methods and resources on which they subsist. Mining also impacts the social organization of communities. Many individuals have been forcibly displaced by environmental disturbances or by the direct planning and mismanagement of companies . Community members near Goldcorp’s Bajo de Alumbrera mine in Argentina, for instance, had no choice but to leave their residences following the deaths of their animals due to a contaminated water supply, and the forced closure of their roads . Mining activities also divide and impoverish communities, as exemplified by an incident at the Pascua Lama mine where irrigators of Valle de Huasco were paid $60 million USD in compensation for future disruptions by the mine. The payments elicited accusations of corruption since the funding was managed internally and resulted in the alienation of those who expressed objections . Furthermore, toxic local water supplies have resulted in skin disorders and infections and endangered the health of individuals who live near extraction projects. Studies at the Belén Hospital near the Bajo de Alumbrera mine found that respiratory illnesses in children increased by 64 percent from 2000 to 2003 as a result of the mining activities . The mining industry has also neglected the rights of indigenous and tribal peoples. The Pascua Lama mine, which was built on the ancestral lands of the Huascoaltina people, was shut down in 2013 due to serious environmental violations. Barrick Gold had failed to construct infrastructure that would prevent water pollution from flowing into the local Diaguita community, a subset of the Huascoaltina population . In response to this issue, the company came to an agreement with 15 of the 18 communities in April 2014, promising that project details would be handed over to the locals for their consultation with experts in the field. The agreement marked the first step towards an eventual social license . Each year, a number of protestors who raise concerns against mining activities are seriously injured, persecuted, or even killed. On May 26, 2009, Panamanian police forces in the region of Penonomé fired tear gas at people who resisted the establishment of the Petaquilla mine and arrested 19 farmers who were subsequently beaten and later jailed . Similarly, in the town of Chicomuselo in Chiapas, Mexico, a group led by Mariano Abarca Roblero strongly expressed its opposition when Blackfire Exploration began its Payback mine project in 2008. Roblero was arrested in 2009 for peaceful protests against the venture, and subsequently shot and murdered on November 27, 2009 . Natives accused many Blackfire employees and contractors of corruption. An investigation confirmed the assertions, discovering that Blackfire had made payments totaling at least $20,000 CAD to former mayor Julio César Velásquez Calderón, who was allegedly in charge of protecting the company from anti-mining protests by local people . Moreover, mining projects can exacerbate poverty by changing the sources of income and livelihood of community members in impacted regions. Though Canadian companies have made commitments to prosperity and employment, in reality, they rarely follow through on such promises. Areas around mines usually maintain either similar or worse socioeconomic indicators than in surrounding regions . Firms sometimes offer one-time gifts and donations, which reflect an unsustainable model of economic development and instead create a situation of dependency on mega-projects that undermine the work of the community. In 1994, the Canadian-based Greenstone Company established the La Libertad mine in Nicaragua, contributed preliminary financial donations to the project, and promised that the undertaking would bring about advances in technology and economic prosperity . Initial successes were apparent: locally hired miners were given the right to mine secondary veins and sell their goods on the market, investment flowed into the community, demand was stimulated, and the local economy flourished . However, the social sphere was negatively affected, and an increase in prostitution, alcohol abuse, and corruption strained the once strong familial and communal ties . In 1998, after a period of financial decline, Greenstone shut down the mine without developing local capacity and production. Small-scale workers were left with nowhere to market their minimal yield from the secondary veins . After the community became dependent upon the mine’s economic benefits, the company’s crisis became the community’s plight, and residents were left to deal with the rebuilding process. Many mining companies also acquire property fraudulently, where sales are made without any information on real asset prices or the impact of mining activities on future property values . Starting in 1999, Goldcorp began to purchase land from families surrounding the Marlin Mine in Guatemala. During the purchasing process, some 600 families were forced to turn over their land without individual property deeds in exchange for approximately $500 USD . Since most Latin American mining ventures are not state-run, the majority of the economic benefits and profits travel abroad, back to the home countries of mining companies. Coupled with especially low tax burdens of approximately 30 to 35 percent, this paradigm results in little monetary advantage for the local population . Areas with mineral resources are often secured for the purpose of investment, rather than saved for necessary, domestic use. This move gives rise to repressive and abusive practices by foreign companies that limit the use of the land by indigenous people. In contrast to the large revenues generated by foreign companies, local communities have tended to bear the brunt of mining costs while reaping little to no gain. One must ask whether Latin American governments are more concerned with the prosperity of their people or foreign investors. Since their economies are still in the process of expanding, Latin American governments have started a push to create attractive policies for foreign investment in order to stimulate economic growth and development. The neoliberal, free market adjustments encouraged by the World Bank (WB), International Monetary Fund (IMF), and other international creditors have greatly impacted transnational mining activity and constructed an environment with modest regulation at best, that as a result favors exploitation . Low mining taxation, the deregulation of land tenure systems to the detriment of original landholders, and the fact that lawyers hired by the mining companies oftentimes draft local mining laws contribute to the negative consequences associated with the extractive industry . 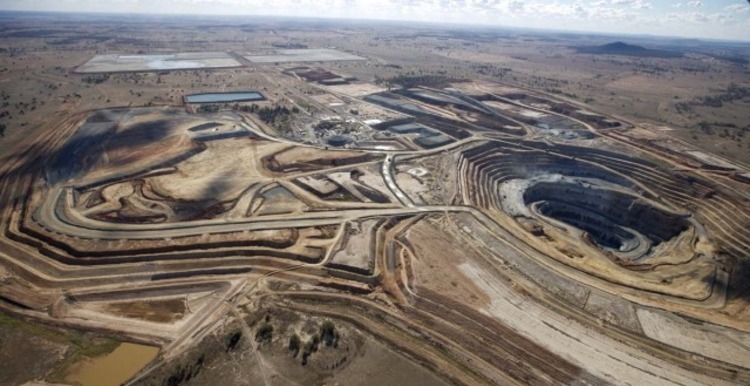 Due to the potential benefits of private investment, decisions are often made to continue such mining projects despite opposition from those who are directly affected by the operations. By pursuing policies of economic liberalization, states have basically stripped themselves of the responsibility to address concerns of community development and ecological sustainability. They have put the free market forces in charge, showing little consideration for standards of living and socioeconomic equality. Latin America also lacks the formal institutions and adequate regulatory systems necessary for the oversight of mining activities to function. Therefore, there are few appropriate mechanisms for victims of human rights violations to lodge their complaints. There is also an insufficient number of channels for citizen participation and consultation by companies prior to the beginning of the mining processes aimed at obtaining their consent in the state decision-making process . Although an overwhelming 89 percent of members in the town of Tambogrande, Peru, voted against the proposed mining project by Manhattan Mineral Company in a local referendum, the Peruvian government nevertheless refused to recognize their voices. Furthermore, judicial systems are not equipped to process cases for those whose rights are infringed upon by mining activities. There is no way for such individuals to obtain reparations for the violations and damage caused by the legally responsible mining companies . No plans exist for the closure of mines, mitigation measures, or for the rehabilitation of areas after they have been mined . Institutional weaknesses of Latin American states will predictably impede the enforcement of legal requirements. When combined with the ability of large-scale companies to bypass such codes, this situation results in exploitation and adverse externalities for Latin American citizens and the land over which they preside. Large-scale Canadian mining companies, and the Canadian government that oversees such commercial ventures, have failed to adhere to reliable standards of international law, which assert that home states are responsible for the actions of their citizens abroad. The Canadian government actively assists the extractive industry without requiring that their mining companies respect the environment and human rights . The state provides financial, political, and legal benefits to companies through organizations such as Export Development Canada (EDC), and the Canadian International Development Agency . In 2011, the EDC contributed more than $17 billion CAD in finance and insurance for the mining sector. The group continues to fund such projects even though environmental abuses and human rights violations have been well-documented. Thus, the government reneges on international law agreements, and turns a blind eye to irresponsible practices in Latin America . Additionally, Canadian embassies have not responded to complaints and protests by citizens concerning the impact of Canadian mining companies. In Argentina, citizens have objected multiple times to the destruction of glaciers in the Pascua Lama project and against the police repression of protestors related to the Bajo de Alumbrera mine . Furthermore, various free trade agreements between Canada and Latin America established since the 1990s do not include commitments to human rights, therefore shielding mining companies from accountability . 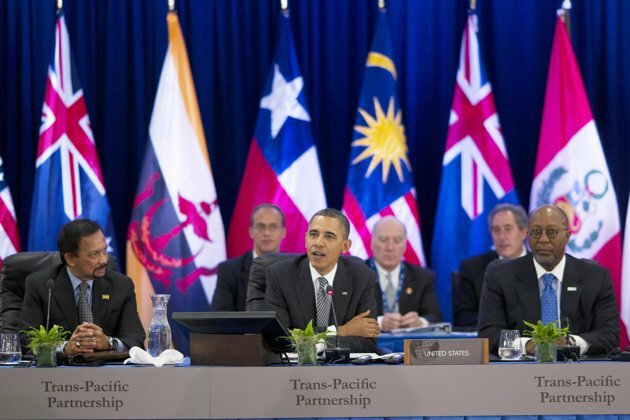 The World Trade Organization and North American Free Trade Agreement institutionalized the deregulation of national economies and the legal guarantee of investor rights, while the World Bank and IMF called for financial account liberalization. All these conditions have served to strengthen the power of international investors in local governments . For all the concern with the advancement and prosperity of their own companies, Canadian governments have not looked to establish protocols to defend environmental, labor, or community interests in host states, nor have they made a concerted effort to regulate corporate activities abroad . Even if some trade agreements contain clauses on environmental protection and human rights, there is often little respect and no legal enforcement for such qualifications. Though the Talisman Energy Corporation was accused of violating human rights in Colombia, the Canadian government all but ignored the allegations, stating that they did not have sufficient legal authority to prosecute the charges. Sadly, there still do not exist criminal liability laws to hold companies and their officers legally responsible for actions committed abroad, even if they are using government funds . Conveniently, Canadian companies benefit from a legal framework that supports their rights as foreign investors, and are able to file claims against host states in international arbitration forums. Thus, human and community rights are becoming more and more insignificant . 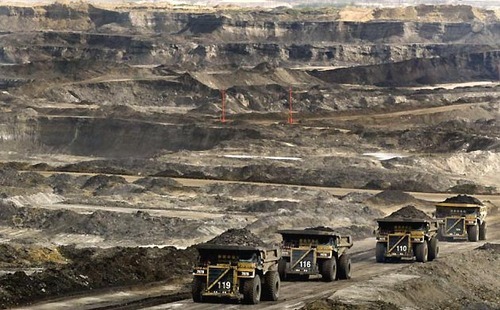 Canadian Bill C-300, or the Responsible Mining Bill, would have ensured compliance with international environmental standards and a commitment to human rights. However, the bill was defeated during the last round of voting in 2010, which marked a victory for the mining industry and reaffirmed its importance for the Canadian government . As host states, Latin American governments must establish strong legal frameworks to regulate mineral extraction policies. They must form laws that reference international human rights standards and measures to ensure that construction projects have the consent of communities before they begin . In the same vein, governments must refrain from waiving jurisdiction over conflicts that arise from mining projects, particularly when such disputes involve human rights abuses . In order to successfully contribute to sustainable economic development, Latin America will have to set up social trust funds as a form of warranty. This system would collect a sum of money from a foreign company to be used by the local government in order to directly benefit the population affected by mining operations. Most importantly, national governments must stop aiding the narrow interests of foreign investors and focus instead on the wellbeing of their people . Canada also has a part to play in improving the situation in Latin America. Given its prominence in the international sphere, the Canadian government should better monitor transnational companies and their practices, both at the international and national levels . 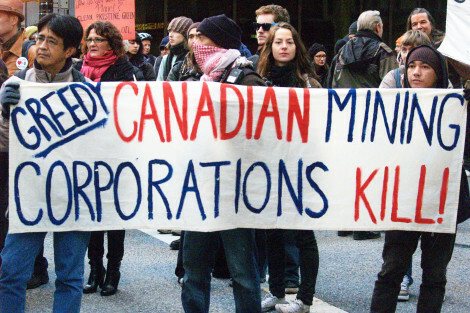 They must ensure that Canadian companies who invest state funds comply with Canadian regulatory protocols, or risk financial penalties or criminal prosecution. . Credit agencies, as well as public and private institutions that finance the extractive sector, should incorporate environmental, social, ethical, and moral standards into their contracts . If companies are found to be in violation of established laws, funding should be compromised and an immediate investigation into the case should be carried out. Lastly, Canada must guarantee that individuals impacted by destructive mining will have access to impartial Canadian or international courts and be able to obtain reparations from offending corporations. . 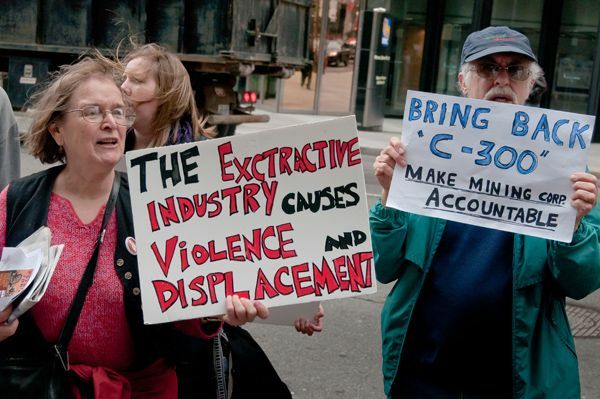 If Ottawa continues to publicly support ethical practices and condemn human rights abuses, the government should also create domestic policies – such as Bill C-300 – that reflect this political rhetoric and effectively oversee the actions of their corporations abroad. The ramifications of Canadian mining throughout Latin America have recently come to light, sparking pivotal debate over the adverse consequences of mining practices and their implications for sustainable economic development abroad. Despite the economic benefits of foreign investment, the mining industry has only prospered at the expense of workers and local communities. The combination of financial and political support from home states and the absence of state regulation and solid institutions cause mineral extraction to exacerbate rural poverty and persistently pit local communities against large, rich Canadian corporations with surplus capital to invest. 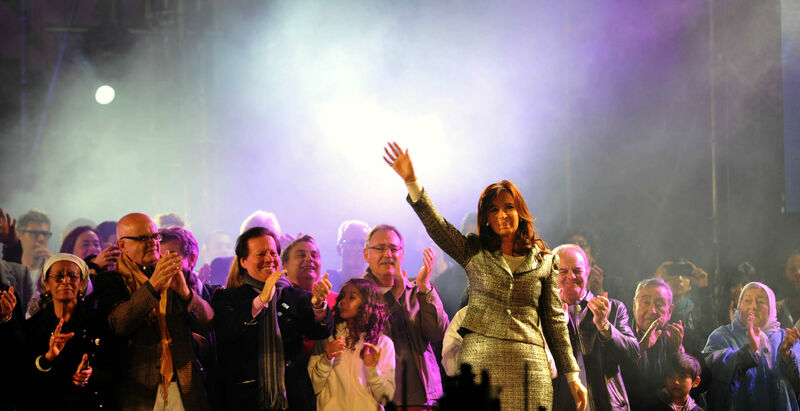 Latin American governments have often neglected the best interests of their citizens, instead appealing to the aspirations and expectations of foreign multinationals. Civil society must engage with national governments to ensure responsible corporate conduct and respect for peoples’ rights . It is therefore imperative that both Canada and Latin America make a commitment to hold mining industries accountable for their actions and develop the necessary legal and financial structures to corroborate these progressive measures. “The Impact of Canadian Mining in Latin America and Canada’s Responsibility”. Working Group on Mining and Human Rights in Latin America. 3 April 2014. The Impact of Canadian Mining in Latin America and Canada’s Responsibility”. Working Group on Mining and Human Rights in Latin America. 3 April 2014. Clark, Tim. 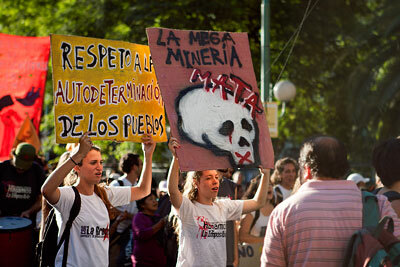 “Canadian Mining in Latin America: Community Rights and Corporate Responsibility”. Inter-American Association for Environmental Defense. 9 May 2002.